Nov. 16, 2017 8:00 a.m.
B.C.’s Fair Wages Commission begins three weeks of consultations Thursday, asking the public how they think a $15 minimum wage should be implemented. In August, the B.C. NDP government abandoned its original promise to increase the minimum wage by 2021, and created an independent review panel to determine the appropriate time needed. Minimum wage in the province is currently $11.35 – the third highest in Canada. 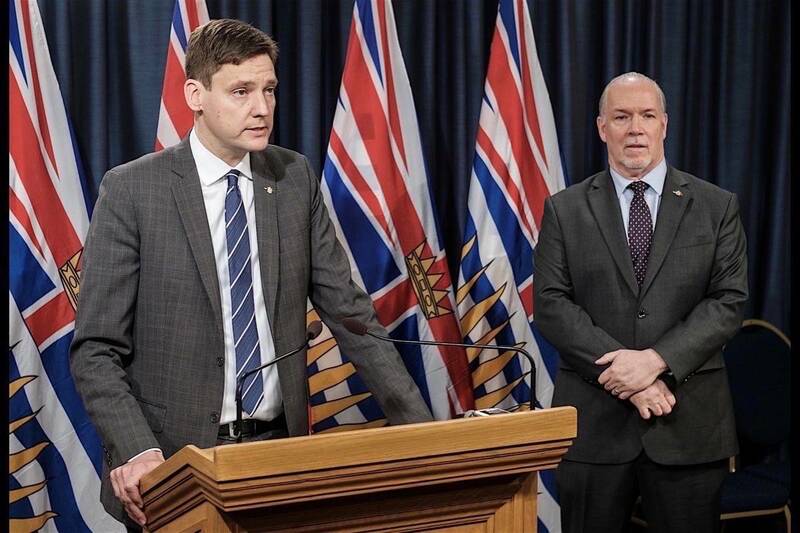 The commission will be honing in on a potential timeframe to impliment the increase, how a new minimum wage will impact certain sectors that currently have different hourly wages and how increases should occur once B.C. reaches the $15-per-hour. Much of the debate so far has surrounded around whether workers in the hospitality industry or farming sector will get the same boost to their hourly wage, and how the increase will impact small business owners. In the past, B.C. Federation of Labour president Irene Lanzinger has vocalized support for the increase, and that she’d like to see the gap between the minimum and liveable wage shrink quickly. The consultations will be kicking off in Abbotsford Nov. 16, but residents from across the province can submit their feedback online by Dec. 7. Commission hosts meetings across B.C. Best Western Dorchester Hotel from 9:45 a.m. to 2:30 p.m.
Sandman Hotel & Suites from 1 p.m. to 5 p.m.
Hyatt Regency Vancouver from 9 a.m. to 8 p.m.
Coast Inn of the North from 11 a.m. to 3:30 p.m.
Coast Victoria Harbourside Hotel from 11 a.m. to 6:30 p.m.
Sheraton Vancouver Guildford Hotel Surrey from 1 p.m. to 5 p.m.
Prestige Rocky Mountain Resort from 1 p.m. to 3:30 p.m.